Once a year my brother, sister and I, our spouses and kids get together for a full two weeks in our childhood home in Southampton New York. There are 6 adults and 8 kids between the ages of 4-12. It is pure chaos to say the least. It's awesome, tiring, nerve racking, loud, unpredictable and lots of fun. Let the wild ruckus begin! In this photo almost all the kids are in the frame. It is a real challenge to get them all together. 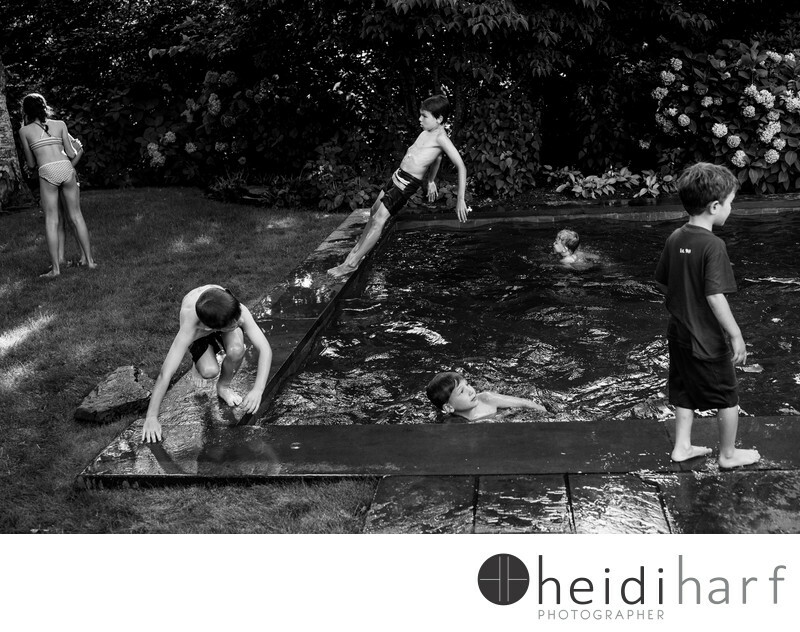 Keywords: family reunion (3), kids jumping in pool (3), swimming (6).